The former Uttar Pradesh chief minister further said that he will campaign for Samajwadi Party-Congress alliance. NEW DELHI: Rebuffing all rumours of feuds within the Samajwadi Party as well as his family, party patriarch Mulayam Singh Yadav on Monday said his son Akhilesh Yadav will be the next Chief Minister of Uttar Pradesh if his party wins the state assembly elections. “Akhilesh Yadav will be the next Chief Minister. There are no differences in the family. I will start campaigning from tomorrow. Amar Singh is not upset. There is no difference. Akhilesh was given full freedom to work,” Mulayam told the media. 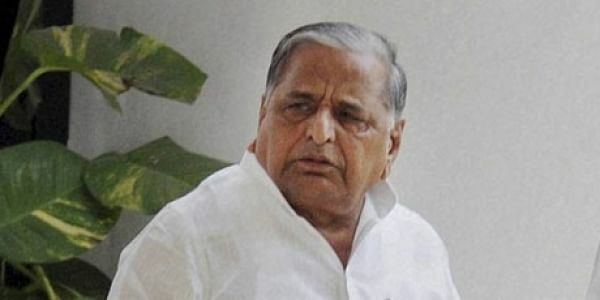 Earlier, Mulayam had told media that he would campaign for his younger brother Shivpal Yadav first. After that, he would go to seek votes for the candidates named by his son and Uttar Pradesh Chief Minister Akhilesh Yadav. “Shivpal is not miffed...no one is upset. How can Shivpal make new party without talking to me?” he said. Former Samajwadi party state president Shivpal Yadav, after filing his nomination in Jaswantnagar last week, had announced he would form a new party after March 11 when election results are declared.